An ultimate ‘Fashion Pop Up Ladies Night’ at Pure Sky Lounge & Dining. Pure Sky Lounge & RETOLD Fashion Store have partnered up to create a fun night out for Ladies. Dubai 2019. Located on the 35th floor of Hilton The Walk, Pure Sky Lounge & Dining (JBR’s highest rooftop lounge) is set to become the ultimate venue for all ladies looking at having a wonderful time with their girls. Pure Sky Lounge known for its unmissable parties, innovative beverages and delectable Pan-Asian cuisine has partnered with Retold, 3,000 sqft , pre-owned fashion boutique featuring over 6,000 gorgeous items. Starting from Tuesday – 5th February, Pure Sky Lounge will bring you the new RETOLD Ladies Night created for all the social fashionistas. RETOLD Ladies’ Night will present you with stylish designer clothes, bags, shoes, accessories and more to get you and your girls into the mood for a great night out. Listen to the best 80’s and 90’s tunes while choosing from the eclectic range of high street fashionable products. 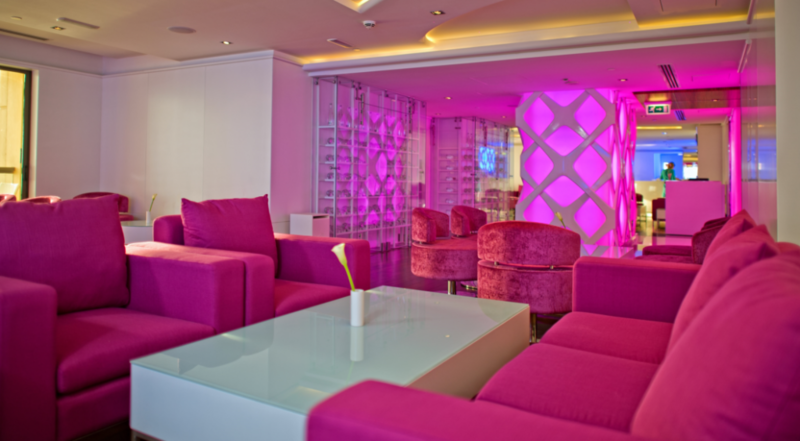 Ladies can also enjoy complimentary premium grape, bubbly and vodka based drinks. Relax in the indoor or outdoor seating, whilst enjoying the bird’s eye view of the JBR beach and if you come early you can catch a glimpse of the amazing sunset over the Arabian Gulf. Feast upon mouth-watering Pan-Asian and Western cuisine. Savour the signature dishes from the menu such as Pure style “Gado Gado” salad, Baby scallops and foie gras or Pan-seared duck breast. End on a sweet note with desserts such as Pandan cremux rocks – the best seller short bread dessert or Black sesame crepe. Sip on uniquely crafted drinks such as The Pure martini, Coco Loco or the signature smoked beverage Hidden Temple that is prepared using fig and rosemary syrup. Pure Sky Lounge is your one stop destination for a great time, drinks, good food and shopping, every Tuesday.